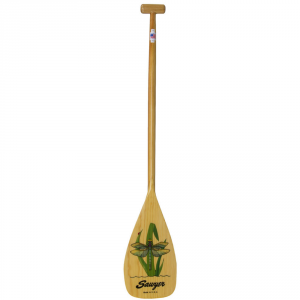 The Sawyer Kids Tale Canoe Paddle is the perfect way to start your young one off on their boating journey. Sized for kids 2 to 10 years old and made with colorful designs kids love. 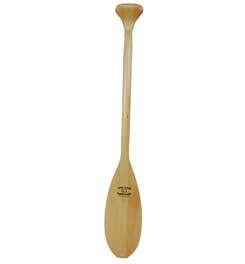 This isn't a toy; it's a well-designed, finely crafted tool young paddlers will treasure long after they've outgrown it. The oval Douglas fir shaft has a slight 7-degree bend that transfers power to the water throughout the stroke. An efficient blade shape in fiberglass-reinforced ponderosa pine holds up to paddling's abuse and is sized for a kid's strength. Universal T-grip fits a smaller hand and gives good paddle control. One side of the blade has a whimsical creature picture. The other side features a log for keeping a record of your child's first boating journeys and what they saw along the way. 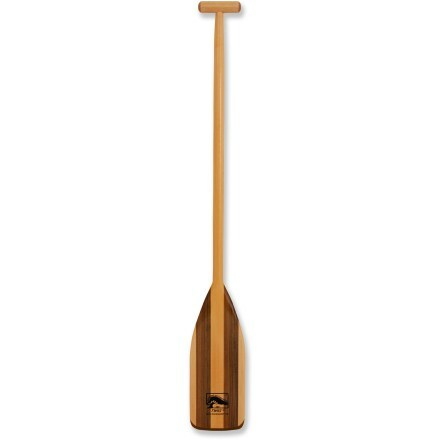 As your child outgrows this high-performance paddle, it becomes a perfect memento that documents their beginnings as a paddler, naturalist and fisherman. 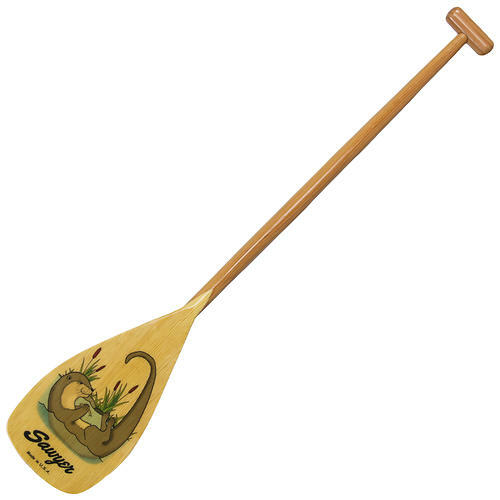 The Sawyer Paddles Kids Tales Canoe Paddle is not available from the stores we monitor. It was last seen August 6, 2018	at NRS.